Situated on the West Coast of Wales, Aberystwyth is a small coastal town accommodating over 7,000 students. Colloquially known as ‘Aber’, this historic market town is favoured for its separation from busy metropolitan life, with an abundance of amenities for all ages. Whether you are taking a break from studying, or welcoming family and friends to your new student residence, you’re sure to enjoy the ‘best of both worlds’: a big town with the community feel of a small location. Considered a ‘study retreat’ by local students, Aberystwyth is famed for its surroundings: a beautiful sea front promenade, castle ruins, a pier marina and the electric cliff railway, one of the largest funicular railways in Britain. 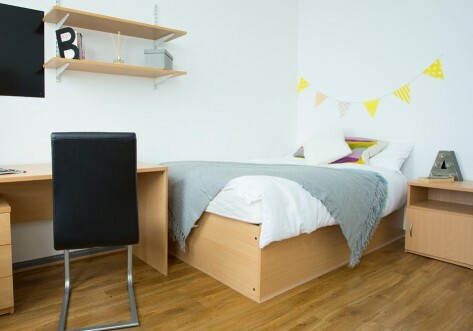 Home to several national Welsh institutions, this cultural preserve is the ultimate relaxation from university studies, and with student accommodation positioned near the seafront, only minutes from the town centre, students can continuously de-stress in this serene aesthetic. Having briefly held the world record for the largest gathering of people in their underwear during the University of Aberystwyth’s annual ‘I Love Aber’ week of activities, highlighting their appreciation of the town and university, the pride of the student community is monumental. The town more than satisfies student living, with Aber believed to have the highest concentration of pubs in the UK (roughly 52 – one for each week of the year!). However, if pubs don’t satisfy your extra curricular urges, within a 10 minute walk from the halls of residence, try surfing on the big swell of the Harbour Trap, dolphin watching at the bay, or take advantage of the coast and enjoy a barbecue with your halls mates!